Shipping: Normally shipped within 3 business days. 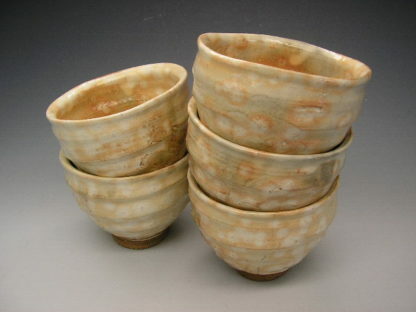 A set of 5pieces of teacups with neat and subtle taste. Light shade of orange spots represent glow of a firefly, and called “Gohonte”. 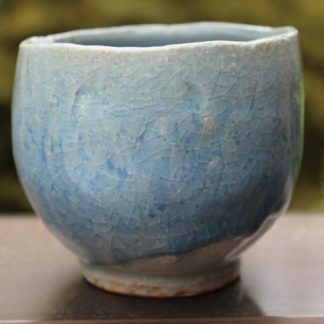 This delicate color is developed by oxidizing iron that was drawn around pinhole of glaze, when cooling the pottery after reduction firing. Shipped with an artist signed box and is in perfect condition. 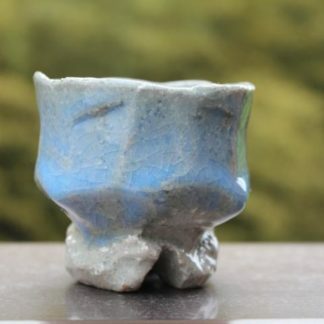 Note: Each set is unique. 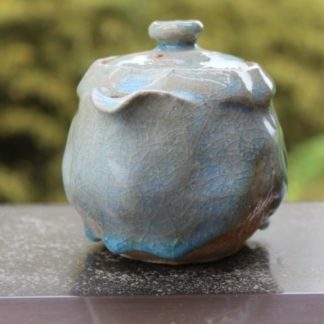 Thus shape and glaze may vary slightly from the images shown. 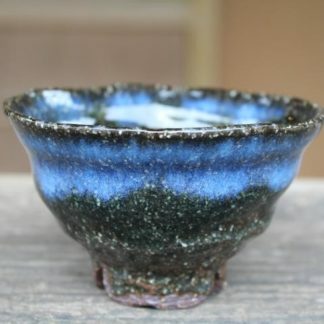 These Hagi cups are quite interesting and quite beautiful. 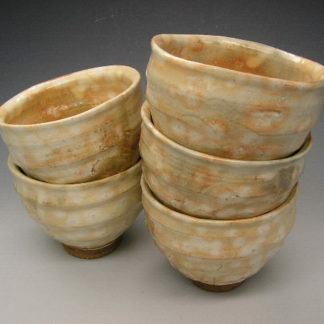 They are large enough for matcha and very comfortable in the hand. The cups seem to have two personalities simultaneously: they are rustic, yet they have a very refined feel. 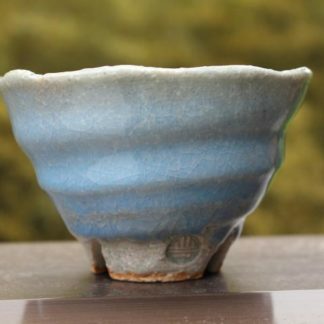 The cups are quite porous, by nature of the clay that is used, so I might suggest a consistent brew in each cup which, over time, will season the cup to that particular tea or family of teas.